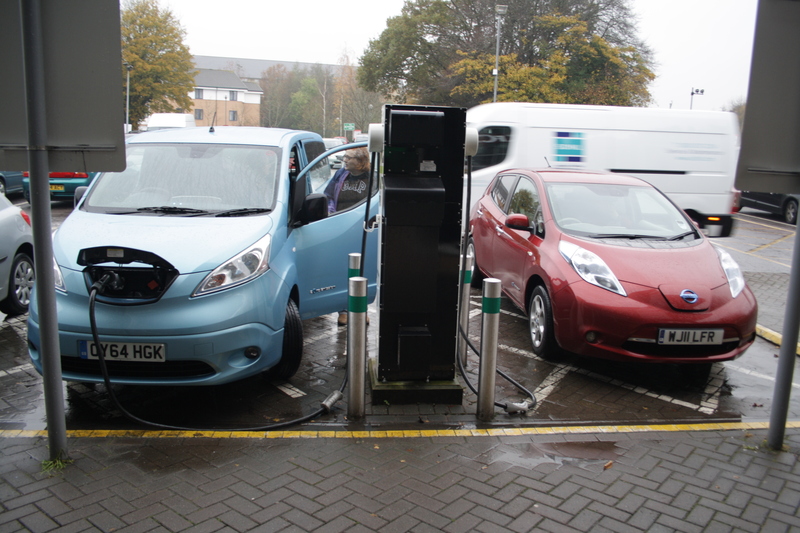 EV Electrics – Page 2 – HubNut – celebrating the average! Excuse the self-promotion as I guide you through my favourite videos of 2015 – my favourite HubNut videos that is. 2015 was a year in which I really stepped up video production, so here are my personal highlights. This is my Top Five. This was the first electric car that I tested long distance, and it has to be said it wasn’t exactly stress-free! 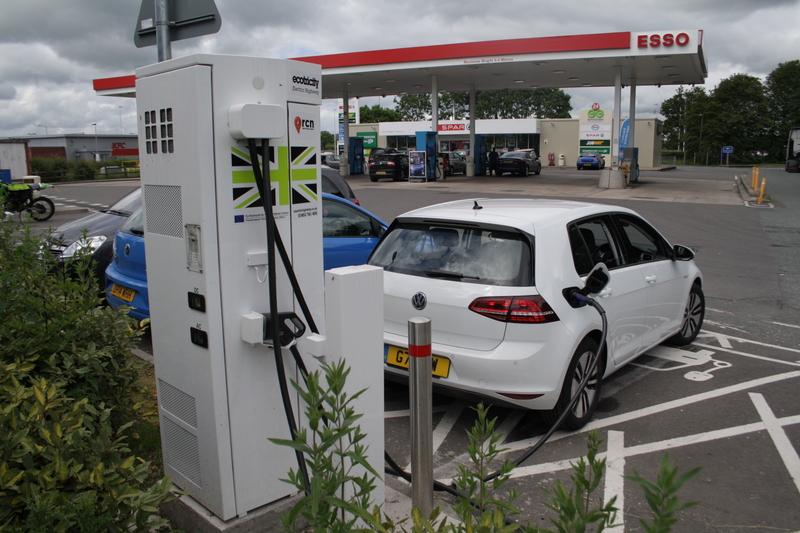 Using the Ecotricity Electric Highway, I was able to drive from home in mid-Wales to Bideford in Devon. Choosing to do this in Winter, in a vehicle with a 60-mile range was the problem. 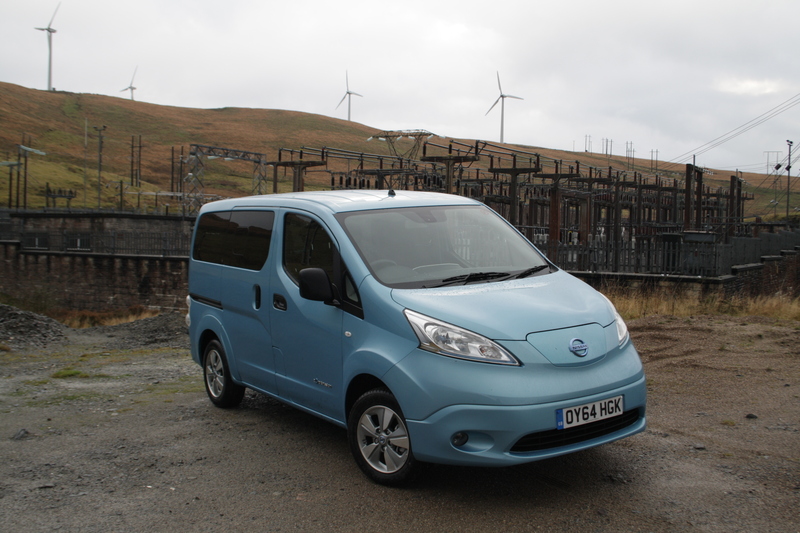 This is also a review of the e-NV200 itself. A very useful vehicle but still blighted by good old range anxiety and an inefficient heater. This one joined the fleet in March, and has proved to be an ideal little runaround. This review was filmed not long after purchase and while it’s certainly a car built cheaply, it continues to run well. Listen to the road noise though! Vlogging appears to be a thing – video blogging – so I thought I’d have a go. This is where I began a series of (so far) ten videos. I aired some annoyances with the regime in Saudi Arabia – exacerbated by recent developments as I write – and I also talk about electric cars and the Citroen XM. It seems that I love every car that I drive, and I expected the Insight to be no exception. It didn’t quite do it for me, as you can see in this video. Still an appealing car, but not quite what I’d hoped for. It is proving to be a popular video though. Picking one favourite is not easy. My XM V6 video continues to amass a huge number of views, and the Citroen Ami one was an absolute hoot to put together. But, my friend Keith Hicks helped me make a rather special tribute to my 2CV. I still don’t know what the future is for this car, but I’ve had many good adventures in it and I’ve loved every minute behind the wheel. Thanks for watching. Once the weather improves, I hope to get cracking on some more videos. 2016 promises to be very exciting. Stay tuned! There’s exciting news today as Citroen might actually be building a car I like the look of – the e-Mehari. Dredging up the name of a fantastic 2CV-based model in its history is perhaps unforgivable but I must concede that this new model does hold some appeal – and does have quite a few Mehari styling cues. Most interesting is that this will be an EV or electric vehicle. It was actually conceived by Bollore, which already builds a small EV car. PSA (the company that owns the Peugeot and Citroen brands) has merely squashed a C4-Cactus-esque snout upon it to create a new look. Crivens! I actually like it! It does look remarkably niche for a mainstream manufacturer and I must concede that I do wonder what PSA are up to. It has already dabbled with electric vehicles with the Berling Electricque, which didn’t really take off. It then went into a deal with Mitsubishi to sell the i-MIEV as the Peugeot iON and Citroen C-Zero. A far better vehicle, but hideous pricing (£30,000 when launched, but now a far more realistic £11,995) and Japanese Kei-car looks seem to have kept buyers away. So you’d think that the last thing PSA would want to do is entertain another niche. Yet, with the e-Mehari, which appears to lack proper doors and a roof, that’s entirely what they’ve done. I do find this confusing. Nissan and Tesla have proved that if you want EV sales success, what people want is an actual, proper car with plenty of space. I’m not sure something that invites the use of the word ‘quirky’ is really going to do it for them. Mind you, they’re already talking down production totals – 15 vehicles per day or 3500 per year seems vaguely possible. It’s clear it’ll never be a volume seller and PSA rightly admits as much. I can’t see a lot of profit in it though, especially at an asking price of 24,000 Euros, or £17,300 at current rates. Details seem a little sketchy, but it seems that you’ll probably have to pay another 80 Euros a month to rent the batteries, in a similar manner to Renault. This is disappointing and I’m sure it’ll harm resale values. What seems a reasonable extra cost for a brand new car becomes a millstone as that car ages. 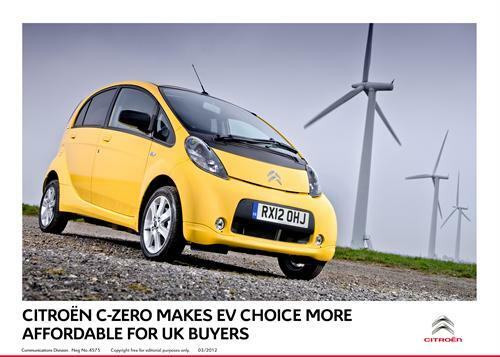 A shame as with a 24kwh capacity, the range should be pretty good – over 100 miles should be possible on a charge. That’s similar to a Kia Soul EV or Nissan LEAF. It’ll be interesting to see if this is yet another EV failure for PSA, or whether this is the simple, frill-free EV that the market has been waiting for. Having discovered just how poor the range of the Volkswagen e-UP! is, I then set about using the car in a rather more typical fashion. An awful lot of my journeys are short ones, to neighbouring villages and towns. Here, the e-UP! was just fantastic. I like having so much torque in so small a car. Great for acceleration and for climbing the great many hills in these parts. Even better, the short range isn’t an issue so close to home, so I could drove the e-UP! in a much more spirited fashion – much more how I’d normally choose to drive. In those circumstances, I was averaging around 3 to 3.2 miles per kilowatt hour, so about a mile less per kilowatt hour than when I was driving as gently as possible. I don’t feel that’s too bad at all, especially with lots of heater use and sub-zero temperatures at times. But naturally, I got bored just testing the e-UP! on sealed surfaces, so I also indulged in a little light greenlaning. All this and more is contained within my latest video. Enjoy! The government is working hard to encourage us to buy brand new, environmentally friendly cars. But is it actually better for the environment than just keeping our existing cars going? Inspired by a question by one of my followers, I decided to investigate. Could it be that new is not best after all? Now, this is not that easy to get to the bottom of, because there are an awful lot of variables. Certainly, my XM doing 10,000 miles a year kicks out about the same amount of pollution as a brand new Land Rover Freelander diesel auto doing the same mileage, or better than an electric car doing 25,000 miles a year. Yes, electric has a dirty footprint too – in the UK at least. Paraguay is actually leading the way with renewables while we still rely on dirty gas and coal. Encouragingly though, this summer apparently renewables were more productive than coal. A step in the right direction? But it’s manufacturing that still generates most emissions. 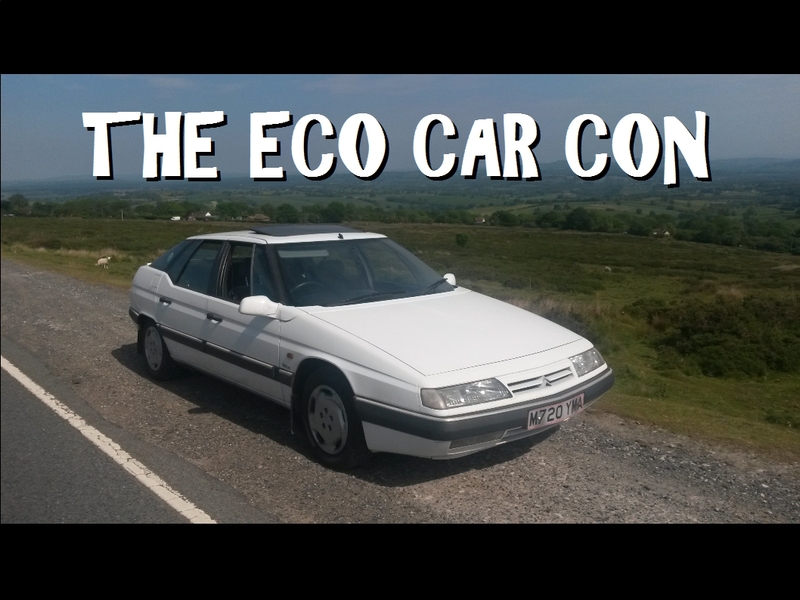 Now, this will vary dramatically from car to car, but as far as I could find out, building a car the size and specification of my Citroen XM today probably produces about 20 tons of CO2, whereas driving it for a year generates 2.5-3.0 tons. I do more investigation in my latest video. Every time I plug my smart phone in for its daily dose of electricity, I’m reminded of my love for electric vehicles (EV). Cars that to make go further, you simply plug into a socket. Also, every time I go down a hill in a conventional (or ICE for Internal Combustion Engine) vehicle, I’m appalled at the sheer waste. All that potential energy lost though the brake system as heat. If I was in an electric vehicle, that energy could be recouped as range-extending electricity. It may seem a small thing, but when I tested the Nissan e-NV200 Combi, I found it easy to generate more than 1kwh of electricity (per charge) through regenerative braking. Now, that might not sound much, but as I discovered with the Volkswagen e-Golf, it’s possible to drive 5 miles or more per kilowatt hour. That’s five miles of range generated for free! Pure gravity. It must be said, those figures were obtained without trying particularly hard either. Even with the short range of electric vehicles, I tend not to hang about. Nissan e-NV200 Combi. Encourages economical efforts. That said, I’m pretty sure that I drive much more economically in an EV than an ICE. It’s all too easy to just put my foot to the floor with petrol power, as you don’t get an instant sense of how bad that is. Shove your foot down in an EV and while you (usually) get a wonderful shove in the back, you also watch the range begin to plummet. With an EV, you have to drive efficiently. Here’s the thing though. I still find that HUGELY enjoyable! When I had the e-Golf, I drove it on a very testing challenge across Snowdonia. Here are some of the finest driving roads you could wish for. I had a great time, but I also managed to drive very economically – 5.1 miles per kilowatt hour. That’s pretty impressive for an electric car. Especially as my average speed for the entire trip was 39mph. Given that there was very little dual carriageway and no motorway at all, I consider that quite remarkable. I doubt I could safely achieve more in an ICE. In Snowdonia, you just can’t drive much quicker than that. Certainly, EVs are a lot more pleasant to refuel. No smelly diesel or petrol here – just over there. I’m sure that I’m now driving my ICE’d cars more economically too. Owning a 2CV has been really useful, because you learn a lot about momentum conservation. Finding the racing line (even if you stay your side of the central white line), judging your speed well so you don’t end up scrubbing too much away as you turn and trying to anticipate road and traffic conditions to avoid harsh braking. I HATE harsh braking! Yet lots of people do it. Smooth braking is a lot more comfortable, and also more economical. Frankly, I’m a bit astounded by how much I love driving electric vehicles. I love the clean, smooth power delivery and the way you can often use different modes to boost the engine brake sensation – ie activate the regenerative braking without you even having to touch the brake pedal. It means you can easily control your pace with just one pedal. That’s very satisfying. Electric makes so much sense for so much of my driving too. Sure, it would have made the trip to France a bit difficult – the charging infrastructure is barely keeping up with demand and some areas are still worryingly free of chargers – but for the vast majority of my time at the wheel, I’m driving distances between four and 25 miles. No trauma for even the worst EVs. I could even manage that in a G-Wiz – albeit very slowly. Congestion at charge points already becoming an issue. But alas, the youngest EVs worth having are still only five years old. I’m starting to see Nissan LEAFs below £8000, and the Renault ZOE for as little as £6500 (albeit with a monthly battery lease to pay on top). Still way out of range for me given that my current ‘moderns’ cost £300 and £375 each. It’s a frustrating business waiting for depreciation to kick in, and waiting to see if EVs develop any ageing issues now they’re getting on a bit. There are interesting times ahead, and an EV will definitely be joining my fleet. I just can’t say when.